Dr. Stuart Honick is a Board Certified podiatrist who specializes in physical therapy and the treatment of plantar fasciitis. 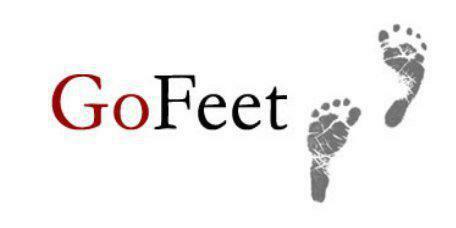 At Go Feet, the doctor and his staff serve residents from many communities in New Jersey. This includes the residents of Mays Landing and Hammonton. Plantar fasciitis is a condition that affects the foot causing extreme pain and discomfort. The thick band of connective tissue that connects the heel to the toe is known as the plantar fascia. This band of tissue supports the arch of the foot and acts as a shock absorber as a person walks or runs. Over time, the plantar fascia can be damaged or stretched, causing it to become inflamed or torn. It is extremely painful and tends to worsen after lengthy periods of inactivity. Plantar fasciitis can lead to other conditions that affect the foot, such as bone and heel spurs. Can physical therapy help relieve the pain of plantar fasciitis? The pain and inflammation of plantar fasciitis can often be dramatically reduced with physical therapy and stretching exercises that increase blood flow to the area and improve flexibility. The inflammation of the fascia can lead to weakness in the foot and ankle. Exercising the foot with physical therapy exercises works to keep the soft tissues and the muscles strong and pliable. It also helps to support the arch and may actually prevent the plantar fasciitis from worsening. A physical therapist will evaluate the severity of the condition and devise an exercise plan to help address the condition and maintain proper function. Can orthotics help with plantar fasciitis? Orthotics are often recommended for individuals who suffer from plantar fasciitis. An orthotic is manufactured to the exact measurements of the feet. This offers support to the different arches of the foot as well as the balls of the feet and the heels. The orthotic evenly distributes the pressure placed on the foot. This reduces pressure on sensitive areas of the feet and can reduce the symptoms associated with plantar fasciitis and other conditions that affect the foot. An orthotic may also be able to prevent the formation of heel spurs and bunions. With the support provided by an orthotic, the inflammation associated with plantar fasciitis may be reduced and the pain and discomfort relieved.